When you think of the Pyrenees, the first country that tends to come to mind is France. But the mountains stretch over the border into the Catalonian region of Spain, where you’ll find a whole range of resorts catering for winter sports – including, of course, snowshoeing. 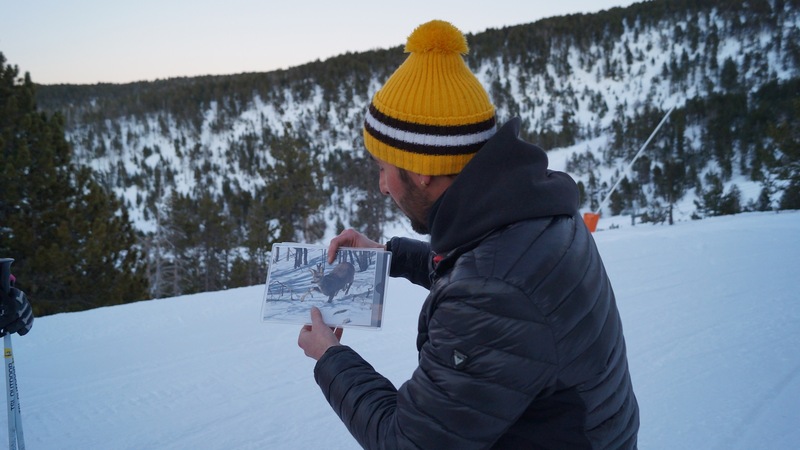 I recently visited the Lleida district of Catalonia on a trip to find out what the region has to offer winter sports enthusiasts. Although much of my time was spent learning to ski, I was most looking forward to the final evening, when we were scheduled to take part in an after-hours snowshoe trek. I’d never been snowshoeing before and was really looking forward to trying it out. Port Ainé lies below the Pic de I’Orri, which stands at an impressive 8,000 feet. This height, combined with the fact that almost all of the slopes at the resort are north facing, means that the snow at the resort is really good quality – even relatively late in the season. The resort, with its 30km of slopes is very popular with families and school groups so it’s a great place to visit if you’re learning – the instructors are well-used to working with beginners and the quiet slopes mean there’s practically no queue for the lifts. Our snowshoe walk started at 6 p.m., just as the light was starting to fade. We clipped ourselves into our snowshoes and started up the deserted pistes towards our first stop on the edge of the forest. As we wound away around the pistes and forest of the resort, our walk leader told us all about the area – from the wildlife that inhabits the forest to the tales of those that escaped over the Pyrenean passes during World War II. We reached the highest part of our trek just in time to see the sun set behind the mountains. The trek really was a true highlight of the trip. It was amazing to walk up the silent slopes just hours after they were filled with hundreds of people. The only sounds were that of our voices and of the snowshoes crunching in the snow – it really felt like we were the only people in the universe! A two-hour snowshoe trek at Port Ainé costs €28 for two hours and €35 for three hours. My trek was the perfect introduction to snowshoeing, but if you’re more experienced or you prefer to go out on your own, there are lots of other options. 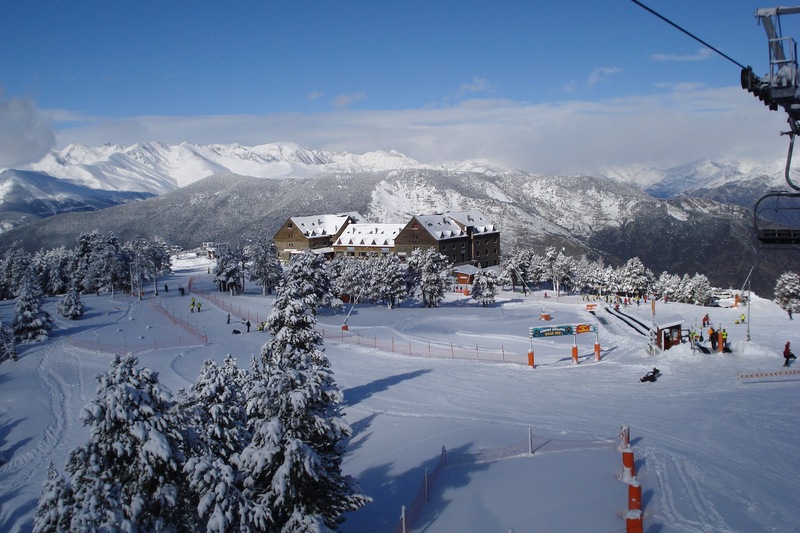 The council-run Tavascan resort offers a range of activities including extreme skiing, mountain skiing and split boarding. Although a small resort with only seven slopes, they have 25km of snowshoeing trails to check out. At the Aransa resort, you’ll find 15km of snowshoe trails that wind through the pine forests, offering views of the Serra del Cadí. One day of snowshoeing here will cost you €3.50 and you can hire equipment for €10 a day. Like Aransa, Lles De Cerdanya specialises in Nordic skiing. Trails run through the forests with views of the Serra del Cadí and the La Cerdanya valley. You can access their 15km of snowshoe trails for €3.50 per day, with equipment hire costing €10 per day. On the north side of the Port del Comte massif you’ll find the Tuixent-La Vansa resort. As well as 15km of snowshoe circuits, there’s 30km of alpine skiing trails, a sled track and a snow space reserved for children. Snowshoeing costs €3.50 per day and equipment can be hired for €10. And those are just the options in the Lleida area. 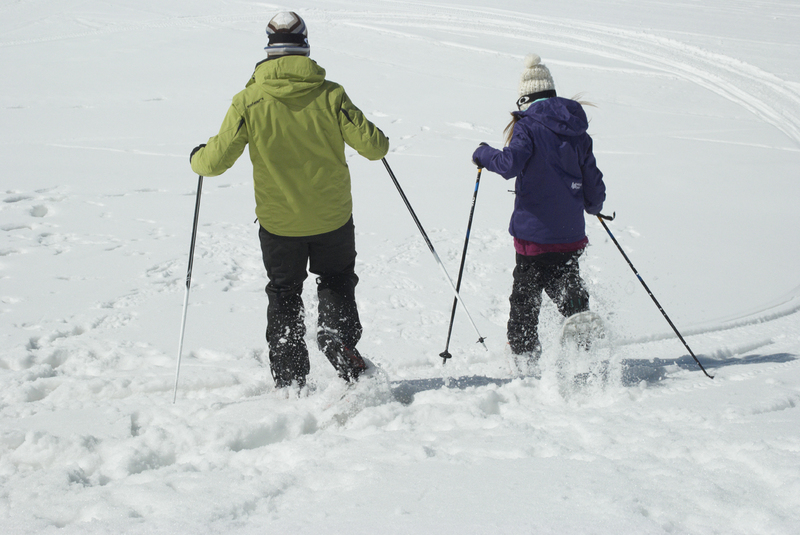 Across the whole of Catalonia there’s over 700km of snowshoeing routes available. Wikiloc (http://en.wikiloc.com/trails/snowshoeing/spain/catalonia) lists more than 1,500 routes for the area with everything from easy strolls of a couple of miles to routes only suitable for experts. What Else is There to Get Up To? The winter sports season in Catalonia generally lasts from December until April/May. I visited later in the season and the great thing about that was that the weather was fantastic. When I was at the resort, I got to ski under blue skies and warm sunshine. And when I left the slopes and headed down the to lower altitudes, the weather was perfect to check out what else the Lleida area had to offer. Aigüestortes i Estany de Sant Naurici is Catalonia’s only national park. Here you’ll find pine forests, lakes, alpine meadows and peaks of nearly 10,000 feet, which you can explore by walking some of the park’s 238km of trails. If want to do a spot of stargazing, you’ll definitely want to check out Parc Astrònomic Monsec – a designated UNESCO Starlight Reserve. 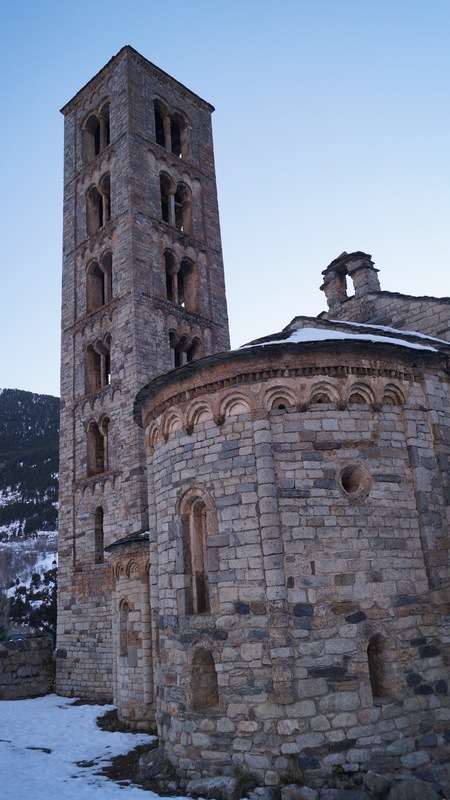 If you’re interested in the history of the area, you can visit the famous cave paintings of Roca del Moros or the outstanding Romanesque churches of Vall de Boí, both of which are UNESCO World Heritage Sites. And if you love food, you can try out some of Catalonia’s regional delicacies – there’s cheeses, butters, pears and olives oils, all with Protected Designation of Origin status. And if you’re there at the right time, you can visit one of the many gastronomic fairs held in area, including the Quality Extra Virgin Olive Oil Fair, the Mushroom and Mushroom Pickers Fair and SnailFest. I was in Catalonia as a guest of Catalunya Tourim (http://www.catalunya.com/) on behalf of Travel with a Mate (http://www.travelwithamate.com/), but all opinions (and newly-discovered snowshoe obsessions) are my own. This entry was posted in Destinations, Features, Homepage Featured, New Destinations, New Europe, New Site, New Spain by Emma Stuart. Bookmark the permalink. Emma is a freelance writer and researcher who lives in Wiltshire, England. She loves travel, history and the outdoors and writes about her adventures at www.ladieswhat.co.uk She's recently discovered snowshoeing and is looking forward to discovering what Europe and North America have to offer. My dream is to visit the Pyrenees of France and Spain. Lovely. It was beautiful, Rose. Plenty to do in the summer and winter. I must confess that before visiting, I didn’t even know there was any winter sports in Spain! Hi! I’m Jordi from Barcelona. I only want to say that, as a catalan, I’m very happy for you to have enjoyed your catalan Pyrenees’ trip. We the catalans are willing to see how all people from over the world come to our beloved country, discover it and enjoy it. All of you are always welcome!! The Pyrenees have some beautiful snowshoeing locations. Other areas further west to look out for are the Ordesa National Park, Valle de Tena (the Portalet area on the border is a winter playground for snowshoeing and ski touring) and the Anso and Hecho valleys around Refugio Linza have some fantastic routes – easy or hard and all well away from ski resorts. There’s plenty of choice! March is generally a good month – longer days, better weather and still plenty of snow. Glad you had a good trip to the Pyrenees! They sound great. I’ll be sure to check them out when I make it back there! 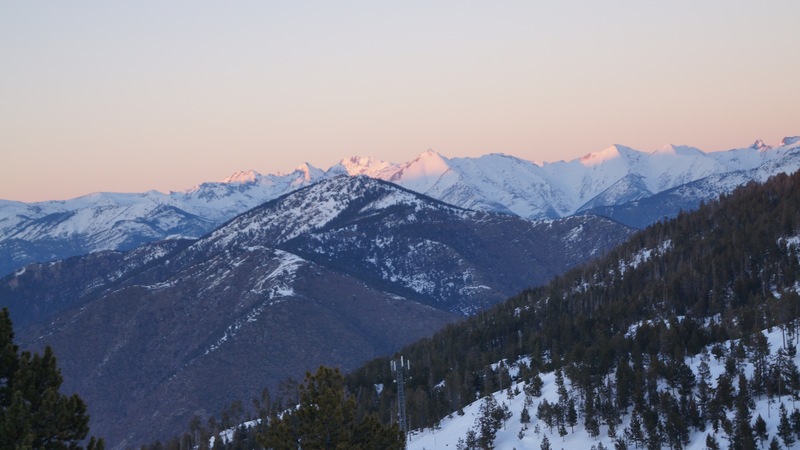 If you’re coming back to the Pyrenees to snowshoe (or hike or ski!) let me know and I can show you some great routes. That would be super – thank you! Thank You for sharing your wonderful experience! Would love to get there someday! You should definitely go, Matt. It’s a beautiful place!